4” Center Bones are one of Jones’ top ten best sellers. Most of these bones will have succulent marrow in the middle of the bone along with tasty meaty pieces left on the bone. Each of our center bones are dipped in liquid smoke and then slowly roasted. 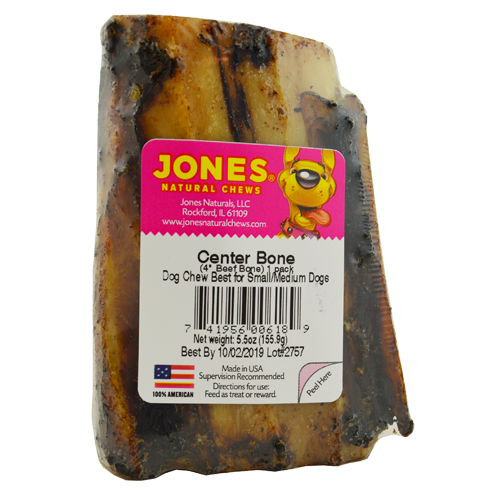 These USA natural beef femur and tibia bones have no artificial ingredients and are best suited for small to medium size dogs. All Jones’ products are 100% grown and made in the USA.